The Man with the Clubfoot is one of the most ingenious and sinister secret agents in Europe. It is to him that the task is assigned of regaining possession of an indiscreet letter written by the Kaiser. Desmond Okewood, a young British officer with a genius for secret service work, sets out to thwart this man and, incidentally, discover the whereabouts of his brother. He penetrates Germany disguised and meets with many thrilling adventures before he finally achieves his mission. 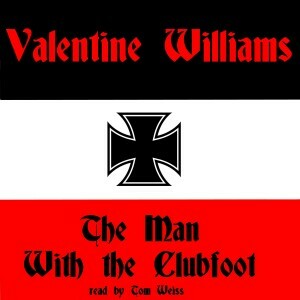 In The Man with the Clubfoot, Valentine Williams has written a thrilling romance of mystery, love, and intrigue that in every sense of the word may be described as “breathless”.